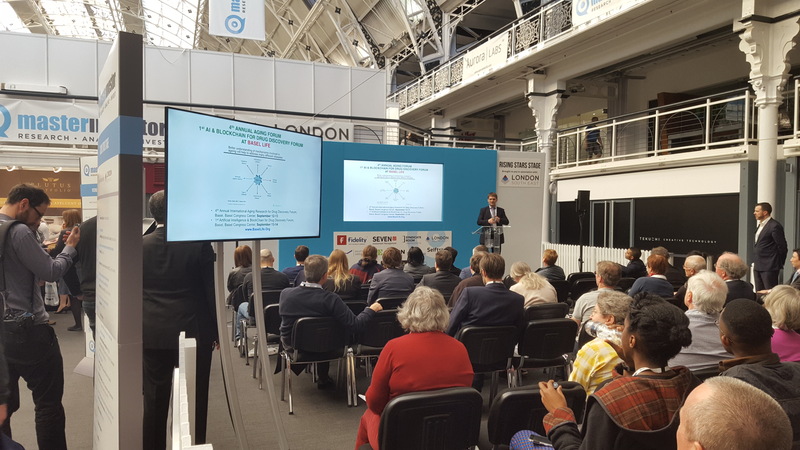 PR Live supplied audio, video, lighting and staging for the Master Investor Show at the Business Design Centre in London, which attracted a record 4500 delegates, 100 exhibiting companies and featured over 50 presentations by CEOs, founders and investment gurus. 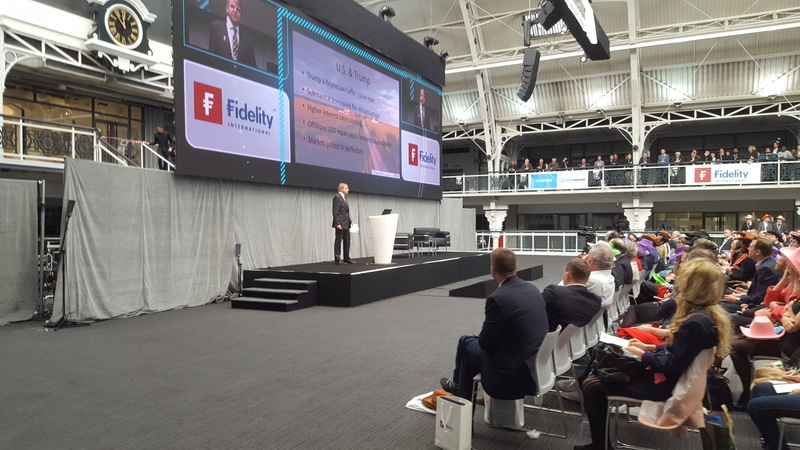 We have looked after the technical requirements for the last 15 years working directly for the client Ex Events and this year provided widescreen video and a sound system for the main plenary area and sound/AV systems for three breakout rooms and screens and control for many of the exhibition stands. We built a 12 metre wide by 2.5 metre stage, behind which they rigged a 12 metre wide by 4 metre high screen made up from Absen A3 Pro 3mm LED panels which looked spectacular. It was flown off a truss and points supplied by house riggers, Outback. d&b T-Series line array loudspeakers flanked the screen left and right providing nice fine-tuned and clearly defined audio for the presentations and various VT play-ins and inserts, mixed via one of PR Live’s DiGiCo SD9 consoles. The camera package comprised two Sony PMW EX3s for the main room, used for picking up the speakers and various other views from around the room for recording and a live stream, with an Analog Way Ascender at the core of the system, used for all the switching and screen management. Other sources added into the mix were two presentation laptops running KeyNote and PowerPoint and a third containing VT playback and other content. For the presentation laptops PR’s video technicians created a custom resolution matching the content which was output at 3848px from the MacBook Pros and scaled within the Ascender to fit the screen size of 3072px wide by 1024 high exactly. The Ascender was also used to create the PiPs for content on both the playback laptop and the two SDI camera feeds. All of the show’s digital artwork and graphics including layouts, backdrops, sponsor screens were designed in house. 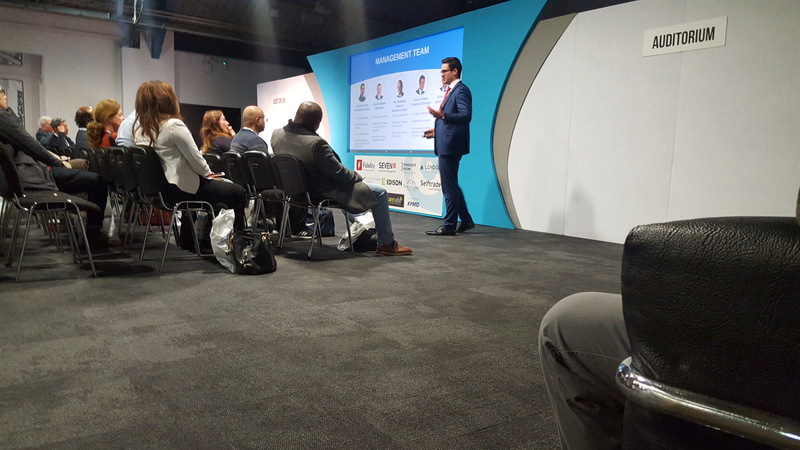 The plenary session area in the main Business Design Centre space was lit with a series of Source Four profiles and PARs dotted around the roof trusses and a choice of DPA headsets and lapel mics were available for the speakers. The breakout rooms each catered for 100-200 people and the technical rider for these included a sound system – a mix of E and T series from d&b – with a Yamaha LS9 mixing console in one room and QL1s in the others. Screens in the breakout areas included a 95 inch Samsung LED in the largest one, with projection screens in the others fed by Christie 14K machines. Scattered throughout the exhibition area were 26 Samsung 46 inch LED Smart TV screens used by a variety of exhibitors to display their AV materials and video content.